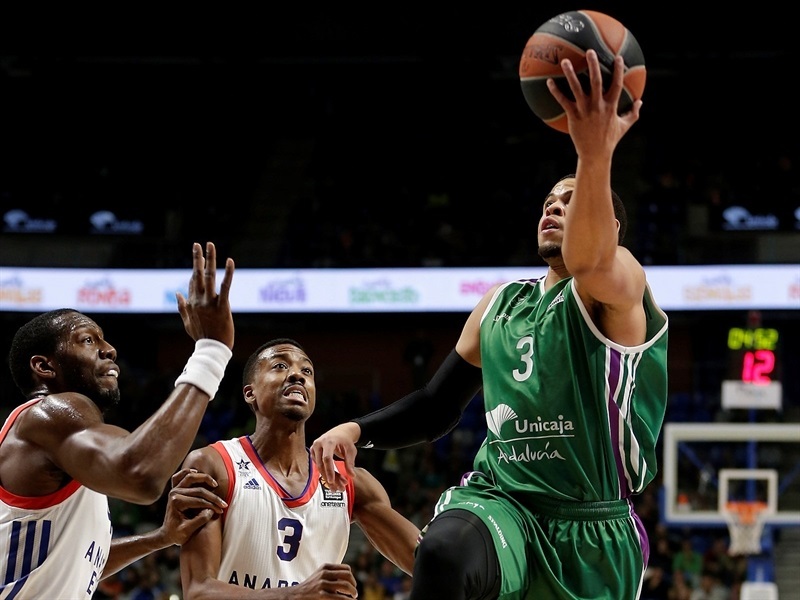 Unicaja Malaga got back to its winning ways and remained in the playoffs race after holding off Anadolu Efes Istanbul’s charge for an 79-68 home win on Thursday night. 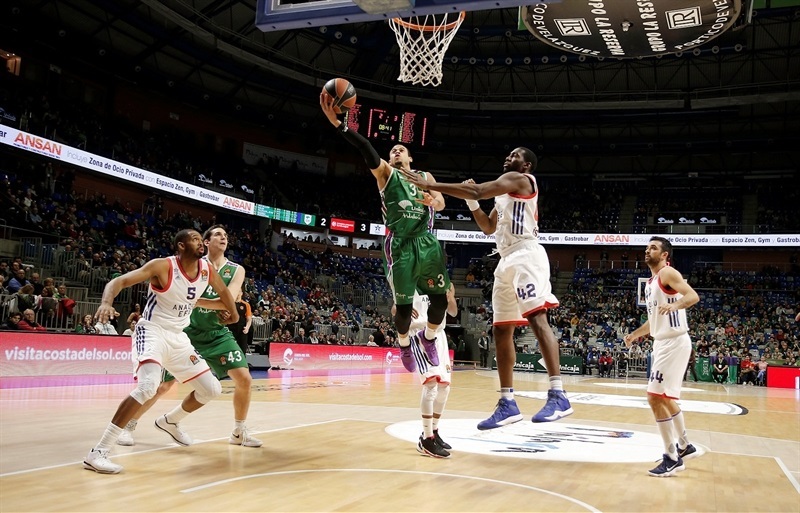 Unicaja improved to 9-13 to remain in 10th place, while Efes remained at the bottom of the standings with a 6-16 record. 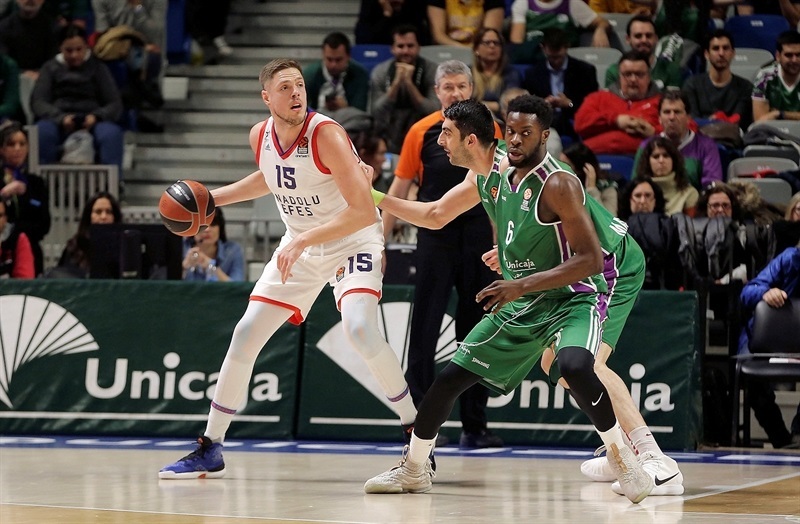 Unicaja, playing without its top scorer Nemanja Nedovic and Jeff Brooks, took control early on and held several double-digit leads throughout the first three quarters. 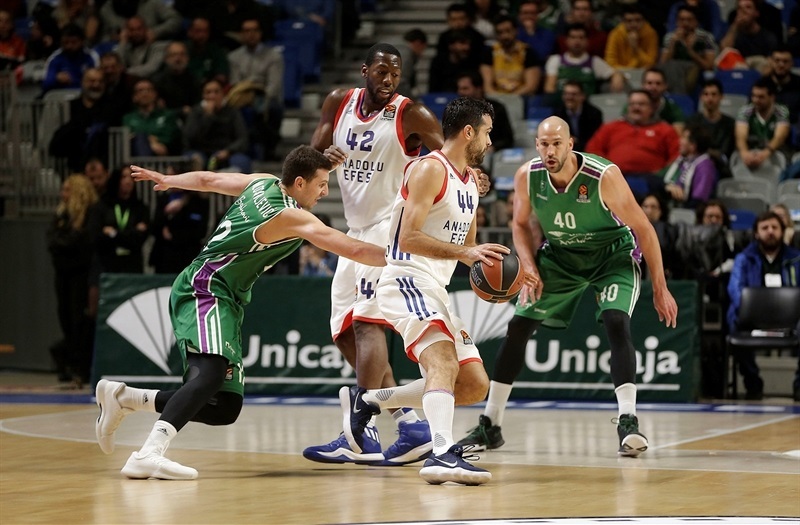 However, Efes tied the game at 65-65 with three and a half minutes to go. 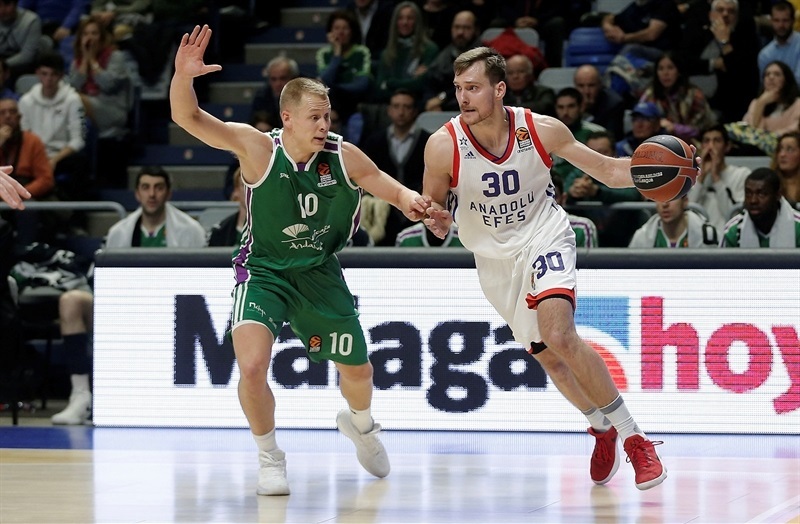 But Adam Waczynski hit back-to-back triples as Unicaja closed the game with a 14-3 run to secure the win. Waczynski finished with 20 points in only 21 minutes on the floor. Dragan Milosavljevic was everywhere with 12 points, 5 rebounds and 5 assists, and James Augustine collected 10 points, 12 rebounds and 2 blocks in victory. 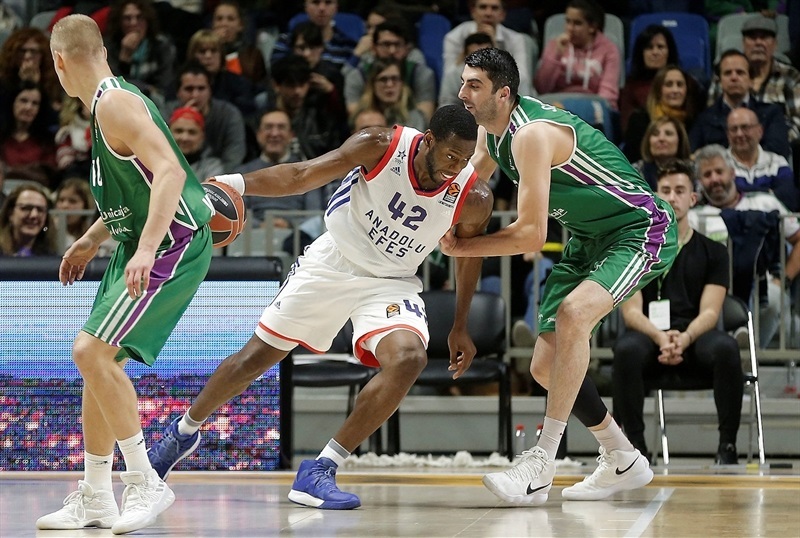 For Efes, Errick McCollum scored all of his 16 points in the second half and Zoran Dragic chipped in with 12 in defeat. 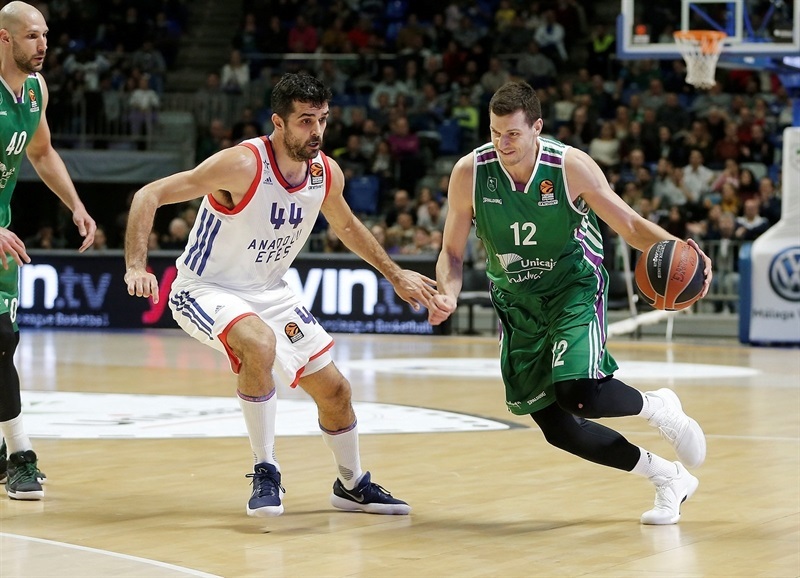 The hosts dominated offensive boards early on, which helped Carlos Suarez score 7 of Unicaja’s first 9 points. Bryant Dunston had a big dunk for the visitors, but a pair of second chance triples from Sasu Salin and a pair of close-range buckets in by Augustine opened a 21-7 margin. Toney Douglas snapped a 12-0 run with a triple and Brock Motum had an easy fastbreak layup to make it 23-12 after 10 minutes. 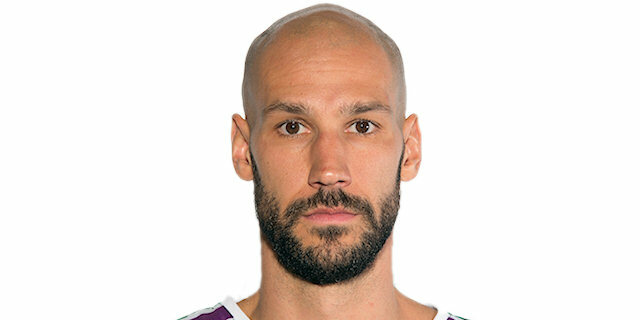 Efes’s bench players continued giving the visitors sparks with Dogus Balbay scoring 6 points and Dragic making a steal and racing for a layup at the other end to close the gap to 29-22. However, Waczynski hit a transition triple, starting a string of 7 consecutive individual points and giving the hosts a 36-22 lead. Motum nailed a triple and Dragic had a three-point play, but the hosts still took a double-digit, 40-28, advantage into halftime. At the start of the third, Augustine scored in traffic, before Milosavljevic hit a triple and Waczynski added a three-point play. Augustine’s tip-in layup opened a 50-35 margin, largest of the night. But McCollum hit two and Brown added another triple on consecutive possessions to get the visitors into a better offensive rhythm. 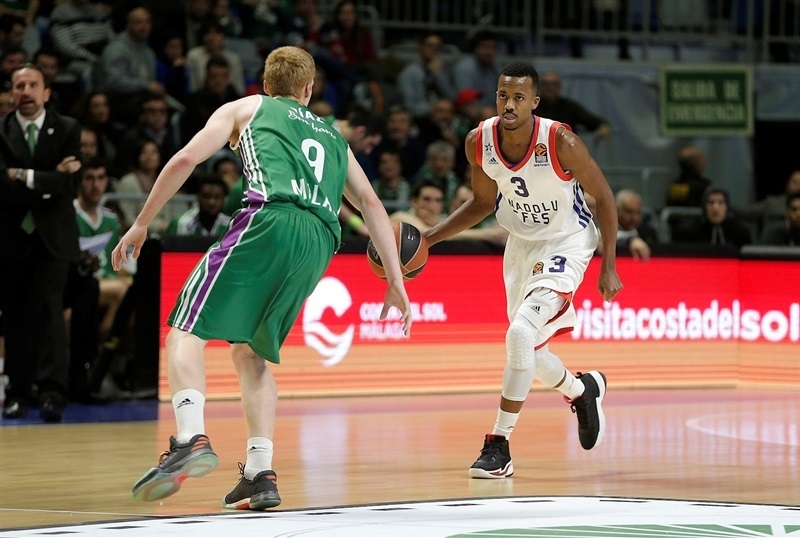 Georgi Shermadini had a three-point play, but Douglas had a transition three, and Brown hit a pair of mid-range jumpers that got Efes within 61-55 after 30 minutes. 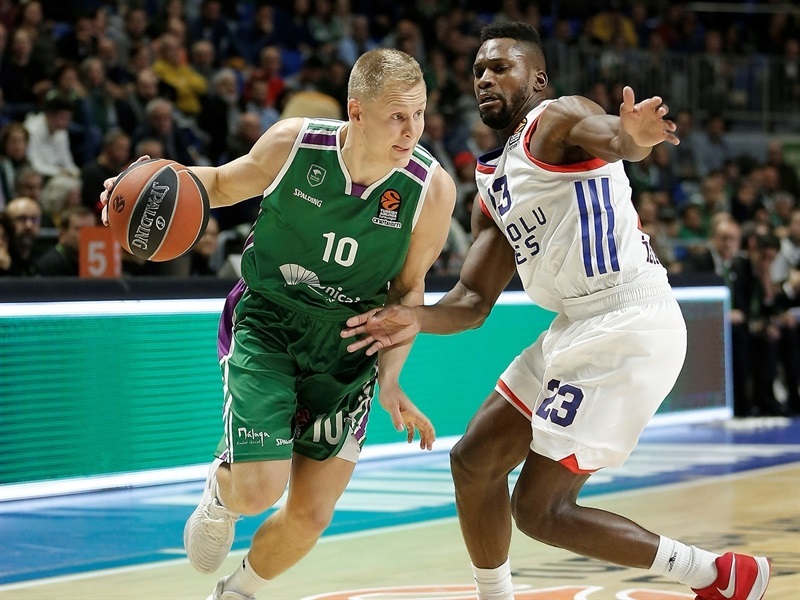 Dunston and McCollum scored a pair of baskets apiece to help close the gap, and eventually tie the game at 65-65, but Augustine fought for a tip-in and Waczynski hit a pair of triples to restore a double-digit margin, allowing Unicaja to close out the game. "As always, it is complicated to talk about a game like the one tonight, when you think you are facing a team that is in the last place in the standings. You might think it is an easy win, but it is not true. They have players that the best teams in Europe wanted to sign. But apart from our turnovers, which were scandalous, this was a very positive game for us. We had good percentages in two-point shots, excellent in three-pointers, and we did a great job on the rebounds. Maybe it’s because when we played them in Istanbul, they had 22 rebounds right in our face, and they ran a lot of fast breaks. Tonight we had a lot of turnovers, and gave them a chance to score. They defended hard and were aggressive on the first line of pass. But, in conclusion, it was a team effort, and we got an important win at home." "We started the game terribly, soft on defense, on offense with unbalanced shots. 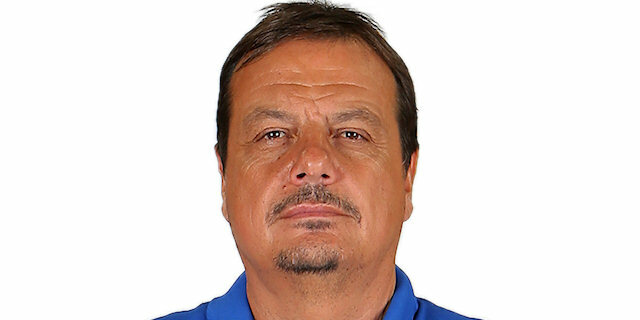 It is very difficult for us to motivate the players, because we lost our chances for the playoffs and we are in the last spot in the standings. So, we have that problem, especially on the road. We went down by 16-17 points, but in the second half we started playing our regular game. We played defense, and got better shot selection on offense, and came back. But we got tired, and Waczynski and Milosavljevic made excellent scores and won the game. 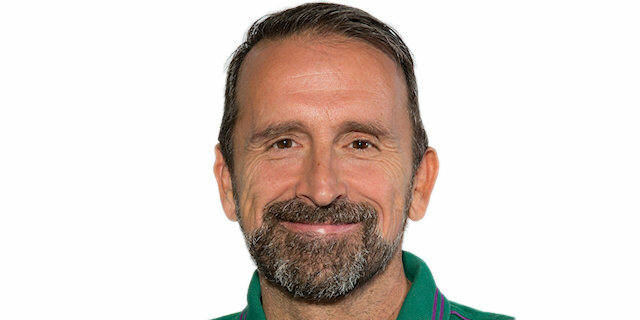 Congratulations to Unicaja." "It is a good win for the team. We played hard together, and Adam [Wacyznski] made some big shots at the end. We played great defense in the first half, but we kind of slowed down a little bit in the second half. I am proud of the guys, and as I always say here, it’s a team effort and a team win."